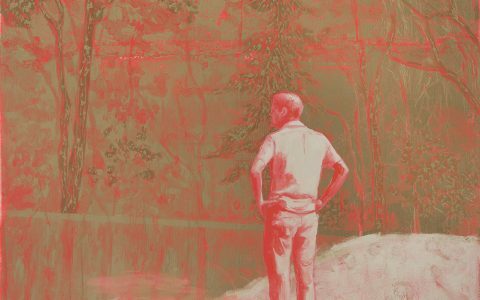 Espora Gallery with a new location, in the Parque Forestal, begins its programming with the exhibition Painting in the background of the artist Catalina Prado. The new gallery location Espora in Mac Iver # 764, apartment 63 inaugurates this May 6 at 12:30 pm, as part of the activities of the first Weekend Gallery Santiago. The exhibition will be open to the public until June 6. 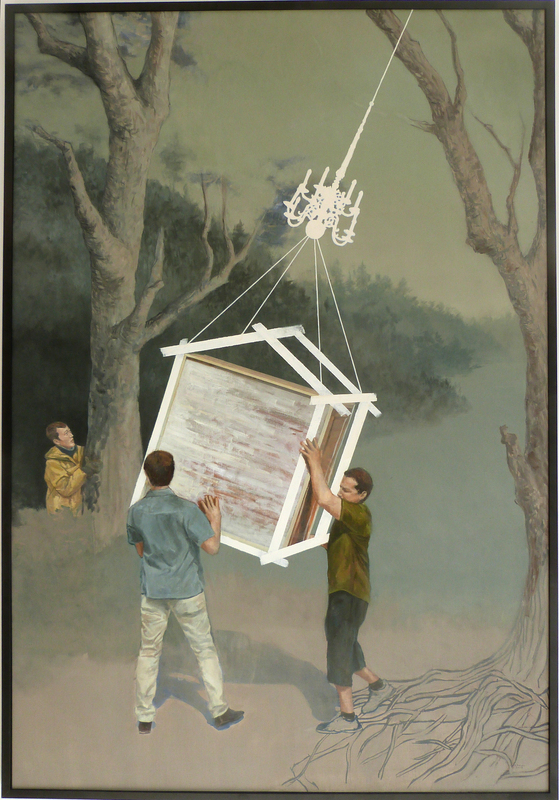 “Pintura de Fondo” brings together, after a long time without exposing individually, the last work of Catalina Prado. 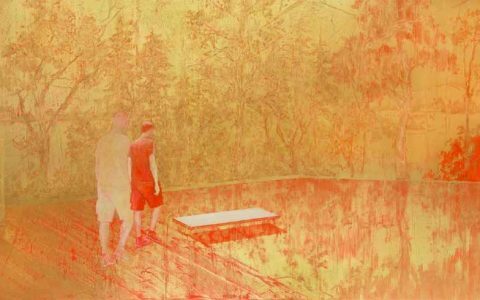 The exhibition presents a group of artworks realized between 2016 and 2017, oils of medium and small format revolve around the search for an iconographic essentiality, which Catalina has matured and reflected for years. As usual in her work, the world divided into two landscapes, one constructed from the pictorial traditions of the use of color and light, is crossed by plausible actions that seem to break with spatial harmony, but rather than being a polar shock, are combined in a single poetic that uses the game of misalignment to create a reality, an image that surrenders completely to the contemplation of the viewer, showing him the harmonious junction of the world of painting. These two euphonious worlds, through the treatment of color, light and the background of the works, express reflective spaces which, without being paintings that refer to the great landscape genre, are plastic references that invite us to contemplate the basic codes of pictorial language. Catalina Prado. 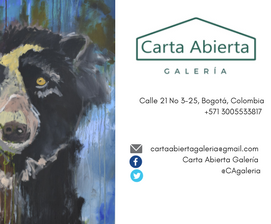 She graduated in Arts in Painting at the Pontificia Universidad Católica de Chile in 1993. she has made art residencies in New York, culminating in the exhibition at the gallery LINDENBERG located in Chealsy NY, and in the consulate of Chile in the same city Selected in 2011 by the Academy of Arts of Florence, Italy, to perfect themselves in ancient painting techniques. 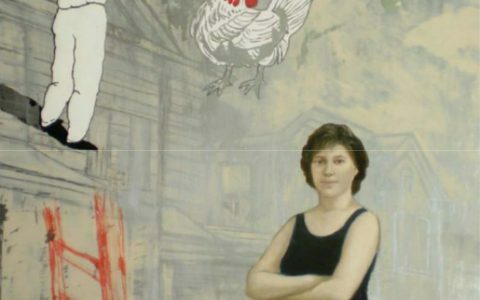 Her work has been exhibited in different spaces individually as well as collectively, both nationally and internationally, with a special mention being his participation in the biennial of Santa Cruz in 2013. She won the Johnny Walker Arts Award in 1999 and the prize of Fobeju Foundation in 2012, thanks to the outstanding work in painting that had been making since its passage by New York and Italy. In 2014 she founded ARSFACTUS, a women’s collective whose function is to manage artistic projects, which involve working with the community. In 2017, the artist returns to participate in our national artistic circuit, thanks to her individual exhibition that inaugurates this 6 of May in Gallery Espora, as part of the activities of the first Weekend Gallery Chilean.